Whoever designed this dungeon must have liked squares! 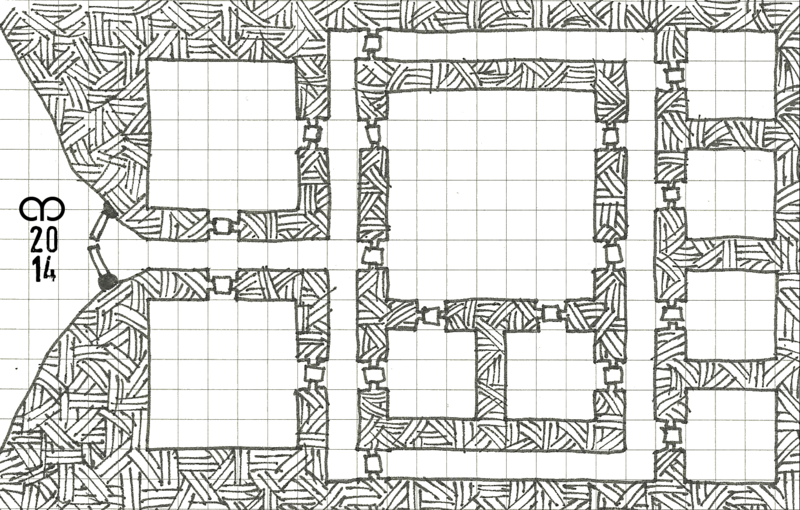 It wasn’t originally my intention to draw just square rooms but I like how it’s turned out. I also tried something different with the doors this week after watching a video from the guy behind Dyson’s Dodecahedron. My hand isn’t as steady as his though so my doors are a little wonky. I like the method though so will practice it some more. As usual, you’re welcome to use this or any of my maps in your home games. If you do and you post about it anywhere on the ‘net I’d be grateful for a link back. Thanks.